Licensed insolvency practitioner Sue Clay has over 26 years’ experience of both personal and corporate insolvency. Sue started her career with Ernst & Young in 1984 working across all areas of insolvency and qualified as a Licensed Insolvency Practitioner in 1996. She then spent a period with KPMG in Cardiff before transferring her skills north of the border taking insolvency appointments in Scotland. Sue’s experience covers all aspects of insolvency and corporate turnaround advising company directors, stakeholders and individuals on their financial difficulties and the solutions available to them. Sue currently manages an extensive portfolio of Individual Voluntary Arrangements (England & Wales), Trust Deeds and Sequestrations (Scotland), and Corporate insolvencies across the UK. 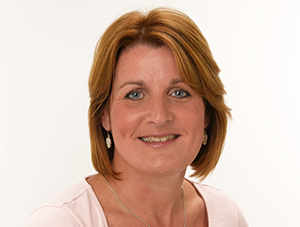 Sue is a regular contributor to both national and local media outlets appearing on BBC Wales radio and television and has regularly appeared as an expert on the BBC Wales consumer affairs programme X-Ray. Sue is passionate about her work which she sees as more than just a job – her work has become her life and she constantly has to be reminded about the “work/life” balance. When spare time permits Sue is fanatical about motor sport and also Cardiff City Football Club. "Coming from the South Wales valleys, where I still live in the village where I was born, gives me the background to understand the real issues which can affect both businesses and individuals alike – and I always deal with my clients on a direct and personal basis. Clients must be able to contact their insolvency practitioners directly and be comfortable that both their and their creditors’ interests are being best served all of the time.